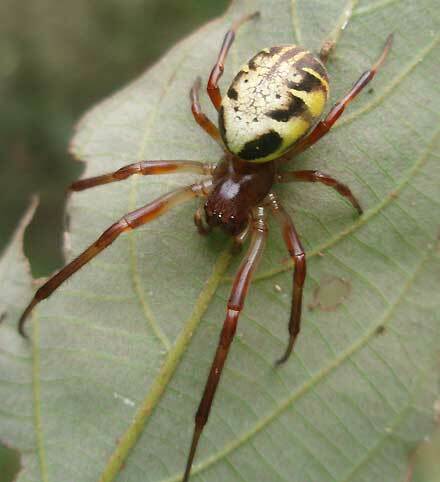 This sub family of live-leaf curling orb weavers is one of those troublesome ones, its spiders having been moved back and forth from Araneidae to Tetragnathidae. It is currently in the Araneidae but the story may not be over yet. Recent work by Matjaž Gregoric, Ingi Agnarsson, Todd Blackledge and Matjaž Kuntner found Phonognatha, Deliochus and Dolicognatha to be in Zygiellinae along with Zygiella.